QUEBEC CITY, April 1, 2019 /CNW Telbec/ - SSQ Insurance employees across the country were astonished to see a school of fish swim through their offices. 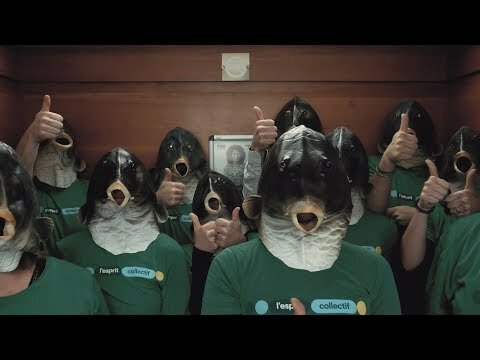 For April Fool's, a squad of SSQ Insurance employees wearing fish masks and the company's colours made its way through the floors, elevators, boardrooms and cafeteria to prank employees and capture their reactions on video. "The idea for the prank comes from the social phenomenon of fish schooling, whereby fish swim together in a coordinated manner. The company wanted to illustrate this collective behaviour on April Fool's Day as a nod to its 'communities make us' brand positioning," said Annie Lafond, Vice-President – Marketing and E-Business.